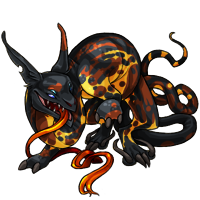 The Wyrae is an extremely unusual and somewhat unnatural Creatu. 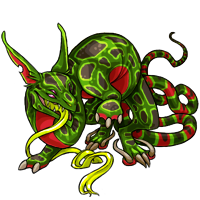 Created entirely by accident, this Creatu does not hatch from an egg, but is the result of a rare mutation caused by the use of a highly controlled morphing potion. Sinuous and flexible, the Wyrae can bend itself in astonishing ways. 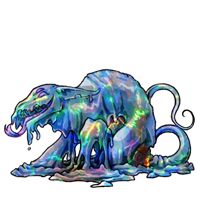 Some who have observed this Creatu have even said that if it so desires, it can actually tie itself into knots. 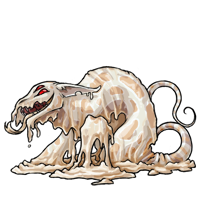 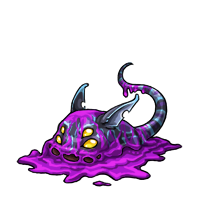 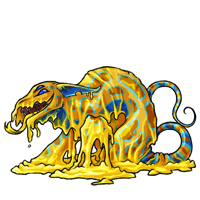 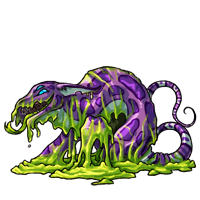 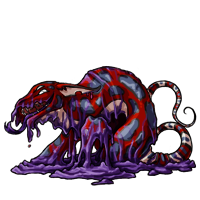 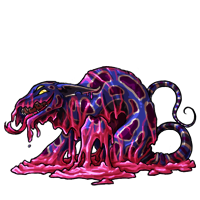 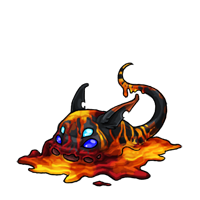 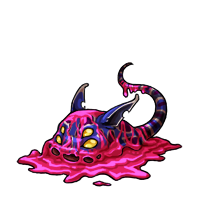 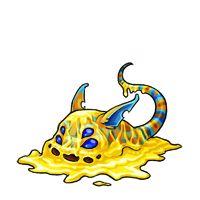 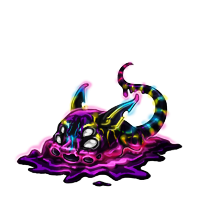 During its earliest stage, the Wyrae seems to spend its time in a pool of acidic liquid. 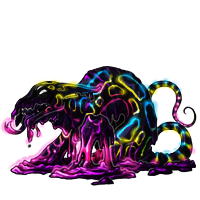 This liquid later becomes flesh as the Wyrae learns to control its unique physical attributes. Be careful if you observe this liquid around it, or if it appears to be secreting fluids, as prolonged contact can cause minor burns to unprotected skin. 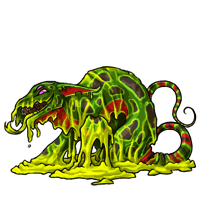 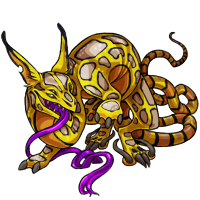 The acidic nature of this Creatu provides it a most excellent defense mechanism which can also be turned into an offensive weapon as it learns to spit acid at an opponent. As Wyrae are not natural Creatu, they have not yet been observed in a completely natural state. However, they are able to hunt and harvest. 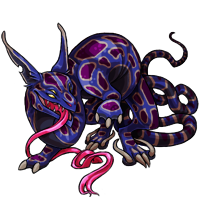 Their long, forked tongue can easily strip a stalk of wheat, or reach up to harvest fruit from a tree. The lengthy, serpent-like tail can wrap around an object and constrict with enough strength to break it. 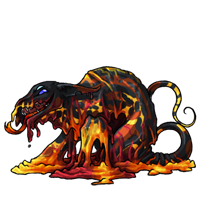 Given a choice, the Wyrae prefers a companion that will accept it for what it is and easily forgive minor burns to carpeting and furniture. Despite their acidic nature, they are normally Creatu of gentle and caring hearts. 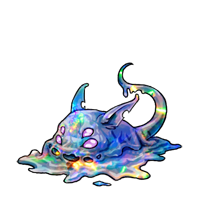 Do you have what it takes to ignore or even celebrate their uniqueness?